The FCA and PRA and confirmed that they will be extending SMCR from the current scope, which is limited to just deposit taking entities, to the remainder of the financial services industry. The extension of the regime will go live in 2018 for insurers and 2019 for all other firms. BCS Consulting have supported many banks through their implementation from which they have learnt key lessons about the challenges, unintended regulatory consequences and most effective solutions. BCS will share their lessons learnt and explain how they have designed highly effective SMCR solutions to save firms significant time and money, ensuring they achieve and maintain compliance with the rules. On 13 July 2017, join us to listen to Salman Ahmed’s insights on what makes emerging market debt attractive and why he favours local versus hard currencies. Salman will also explain why investors should rethink implementation when it comes to this asset class. Don’t miss the opportunity to have your questions answered in this live presentation. - Yield opportunities across regions and countries around the world. - Which countries and sectors are expected to deliver growth in the future? - What are the key drivers for forecasting a dividend? - How can investors get an exposure to dividends? Panacea Adviser has teamed up with BrightTalk and Seneca Investment Managers for a free webcast to support and educate Financial Advisers. You could argue that investing in unappreciated companies with quality balance sheets and benefitting from good yield and growth as the stock value returns should never be out of style. Why though should a value approach only be applied to equity and not across a whole range of invested assets? Value investing by its very nature should mean never buying at the top of the market and constantly researching to find the value in companies and assets that other investors may not yet see. In this 30 minute Webinar, Stephen Hunter and Peter Elston of Seneca Investment Managers discuss why you shouldn’t restrict good thinking to just one asset class! This in-depth, thought provoking session will be of real value to you and your firm and not one to be missed! Technology doesn’t just make investing more convenient and accessible but fundamentally better as well. Learn how to use technology to move beyond the world defined by modern portfolio theory and how to use data and empirical evidence to construct risk-targeted portfolios for the modern world. Learn how you can attain greater control, efficiency and insight from fee management in a heavily regulated environment by joining a webcast organized by KPMG and Oracle for fund management executives. • Producing meaningful MI to stakeholders. Panacea Adviser has teamed up with BrightTalk and Brooks Macdonald for a free webcast to support and educate Financial Advisers. It will then detail some of the vehicles that can be used to dampen the impact of volatile markets. The webcast will be led by Edward Park. Edward is a Chartered Financial Analyst (CFA) and manages bespoke discretionary portfolios on behalf of a number of Brooks Macdonald clients. He also assists in the formulation of the Brooks Macdonald investment process as a member of both their Asset Allocation and Investment Committees. · How healthy is the investment opportunity set? o What are valuations like? o What are earnings like? · How bullish / bearish are investors and is now the time to be buying? Value investing outperforms in emerging markets is the foundation of Eastspring’s investment philosophy. Sam Bentley, Client Portfolio Manager, will introduce you to capturing this value opportunity in emerging markets over time. He will describe Eastspring’s team structure and process, which have been designed to exploit the enduring opportunity created by behavioural biases hard-wired into individuals’ investment decisions. Together with an introduction to our GEM Dynamic Fund, Sam will explain our focused, best ideas strategy targeting those names with significant valuation signals and potential capital growth. You will see how our approach has performed and how it differs to our GEM peers. Sam will discuss how the strategy is positioned to take advantage of the huge valuation anomalies we still find today in GEM equities. Political turbulences – it’s enough to mention US election and Brexit referendum – only added to the list of factors significantly affecting global asset allocation strategies in 2016, particularly in Europe and North America. Looking forward, how can wealth managers adjust their HNW clients’ portfolios in 2017 to make sure that they are not encouraged to try alternative investment managers? This webinar sheds light into what is and will be driving investment choices in the European and American HNW space now and in 2017. Diverging economic trends across the globe, and increased market volatility have resulted in significant differences when it comes to high net worth (HNW) investors’ asset allocation strategies. This webinar sheds light into what’s driving investment choices in the HNW space now and as we go further into 2017. Join us to learn about how companies can provide effective ESG reporting and investors can use this information for investment decisions. Hear from organisations including the UN PRI, Aviva, Unilever and CCLA Investment Management. Erik Rubingh, manager of the Global Equity Market Neutral Strategy, will explain the impact of the unique ‘True Styles’ methodology on raw equity factor performance. Chris Childs, Director in the Multi Strategy Investments team, will then highlight the appeal of the strategy from the perspective of building a multi-asset portfolio. How are ETFs used to construct portfolios and deliver goal-based investing solutions? How do data and artificial intelligence help to understand investor behaviour, manage compliance risk, and deliver personalised content? All this and more will be covered by Anthony Christodoulou, founder of Robo-Investing Europe, an event which features the top thought leaders in digital wealth management and investment solutions. On SharingAlpha investment professionals are able to create a virtual fund of funds and build their own proven track record in terms of asset allocation. CAIA Association has decided to sponsor an asset allocation competition that will start of Feb. 1st. In this webinar we will demonstrate how to create your virtual fund of funds and how to follow your performance. Join this presentation where Rory will discuss valuations and business cycles across core asset classes and future returns these imply. · What are the big themes for next year? · What is the “right” portfolio mix for next year? How does a fixed income investor survive and thrive in a zero interest rate world? Rob Vanden Assem and Jonathan Davis from the PineBridge Developed Markets Fixed Income team present an interactive exploration into today’s shifting fixed income markets. 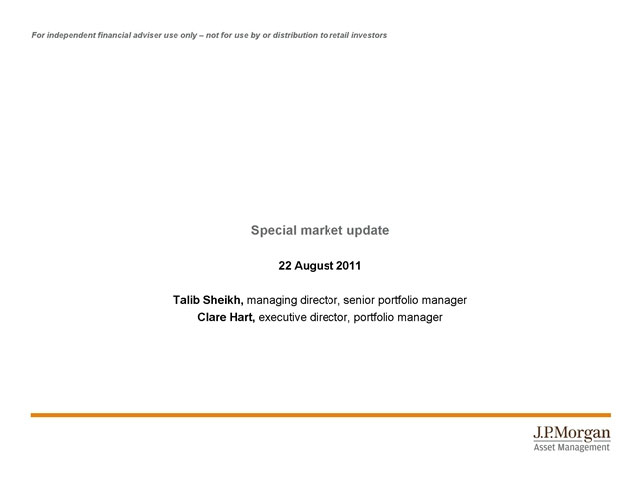 Where are the opportunities now, and how can investors position their portfolios to benefit whilst avoiding undue risk. Join them as they reveal their prognosis for the future of fixed income.